Pass Your DOT Medical Exam! Dr. Brown knows how important it is that you continue your livelihood as a commercial driver. With their extensive knowledge of the DOT Physical Exam medical guidelines, Dr. Brown will steer you through the DOT Physical Exam requirements so you can Keep on Truckin’. Looking for a DOT Physical Exam or CDL Physical Exam in Pine Bluff, Arkansas? You’ve come to the right place! Brown Chiropractic is located at 3007 South Hazel Street, Suite 2 in Pine Bluff, AR. Our clinic is located at the corner of 31st Avenue and Hazel Street. From I-530, take exit 42 and drive north on Hazel Street until you reach 31st Avenue. We are located just past the traffic light on the right. 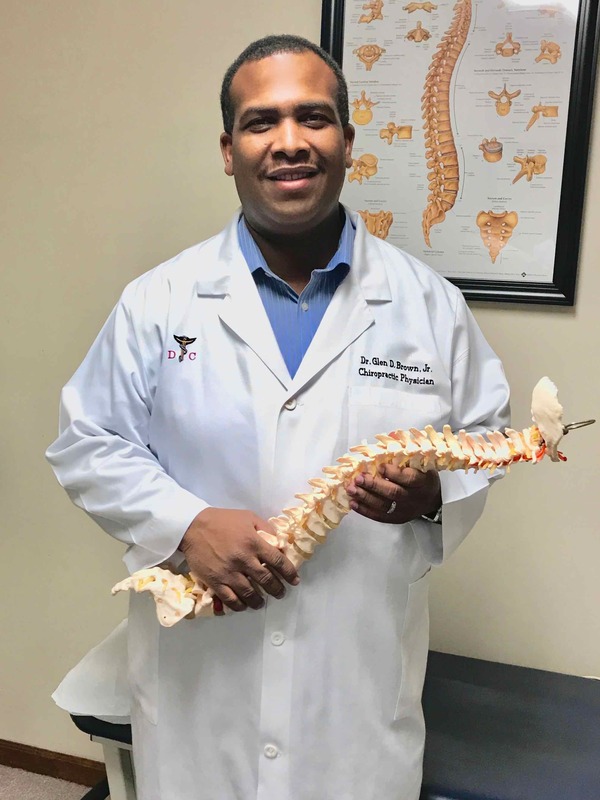 Dr. Glen D. Brown Jr. graduated in 2005 from Sherman College of Chiropractic and is a graduate of the University of Arkansas at Pine Bluff with a BS in Biology. He has been practicing in Pine Bluff, AR since 2006. Dr. Brown is devoted to providing the best care possible to his patients. He is Board Certified in Acupuncture and has obtained national certification from the FMCSA as a Certified Medical Examiner to perform DOT/CDL physicals. Dr. Brown has helped patients with many conditions resulting from motor vehicle accidents, work related injuries and sports injuries. He uses the latest technology to provide fast and effective relief for his patients. He enjoys spending quality time with family as much as his schedule allows. He and his wife Kara have two children, Kaitlyn and Glen III (Trey). Dr. Brown enjoys hunting, fishing, and attending UAPB Golden Lion athletic events.